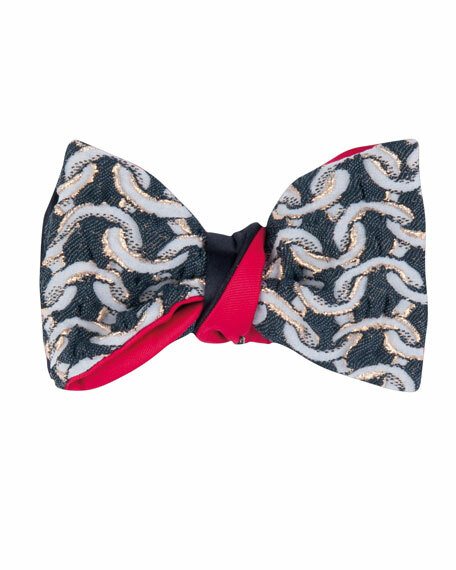 Cinabre bow tie featuring a wavy, interlocking pattern with metallic threading. Signature red silk twill lining. 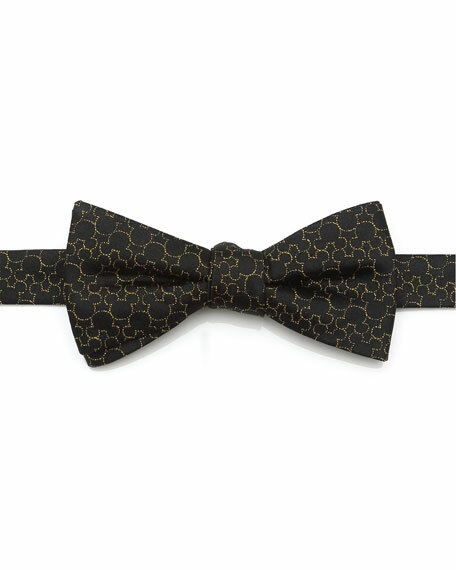 CINABRE Paris uses the finest fabrics and tailoring techniques to bring exceptional men's furnishings to the modern gentleman. Franco-Swedish founder Alexandre Chapellier draws on his heritagehis great uncle was a renowned tailorand mentorship from couturiers to infuse traditional men's accessories with contemporary discernment. Nascent but influential, CINABRE delivers Parisian savior-faire to its avid and cosmopolitan customer base. For in-store inquiries, use sku #2263173. Exclusively ours. Cufflinks Inc. bow tie in Mickey's 90th Anniversary compact silhouette pattern. Adjustable fit. Pre-tied. Silk; dry clean. Imported. Exclusively ours. 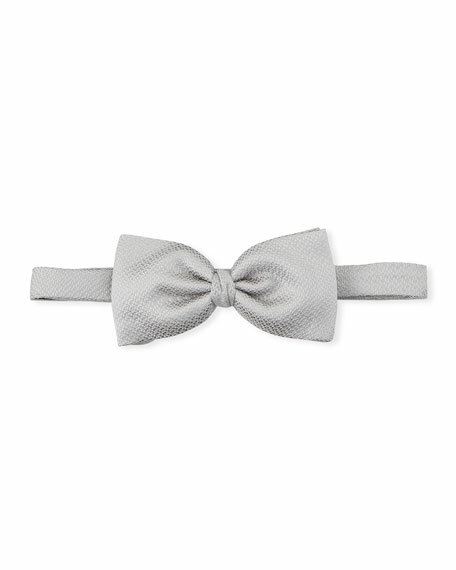 Ermenegildo Zegna bow tie in solid satin. Adjustable fit. Self tie. Dry clean. Silk. Made in Italy. Exclusively ours. 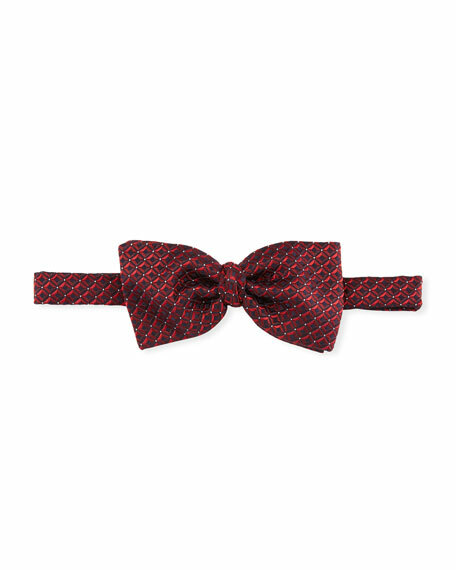 Ermenegildo Zegna bow tie in textured weave. Adjustable fit. Self tie. Dry clean. Silk. Made in Italy.